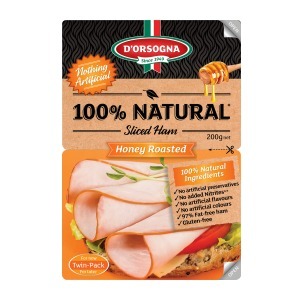 D’Orsogna is synonymous with high quality, flavoursome meat products and leading the march on reducing or eliminating artificial ingredients. Now they have released their ‘100% Natural’ range of products. 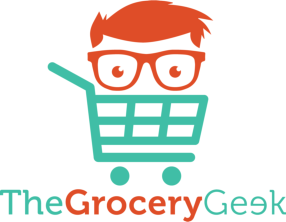 Using high-quality 97% fat-free pork and selected bacon, natural seasoning and vegetable essences they have developed succulent, subtly flavoured ham and tasty bacon that are 100% Natural. 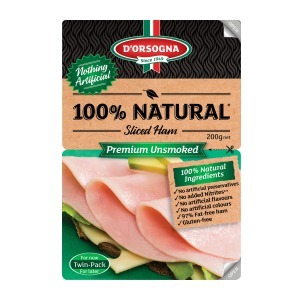 Premium Unsmoked Ham – Sliced – 200gm Twin Pack – ∼$6.00 – created and cured with a range of fruit and vegetable extracts – tender, mouth-watering ham. 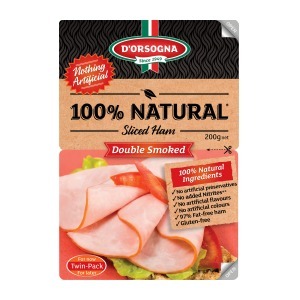 Double Smoked Ham – Sliced – 200gm Twin Pack – ∼$6.00 – created using a range of fruit and vegetable extracts and carefully wood-smoked to perfection to create a delectable smoky aroma. 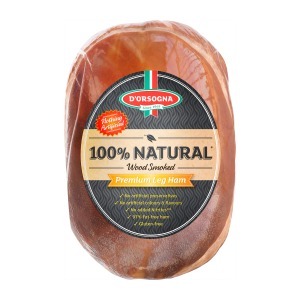 Honey Roasted Ham – Sliced – 200gm Twin Pack – ∼$6.00 – has a subtly sweet, smoky flavour characterized by the honey-roasting process to ensure that only the most luscious ham is created. 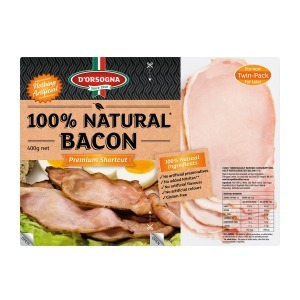 Premium Shortcut Bacon – 400gm Twin Pack – ∼$10.00 – contains nothing artificial. Premium Leg Ham – ∼$25.00 per kg – from the deli counter – carefully smoked to perfection to create a delectable, lightly smoky flavour.